Welcome to another set for our Artist Project Swap with Nadine and Roni. For the Month of May, we challenged our artists to exchange tutorials and create each other’s designs in order to see how each of our artists interprets style and choices. The receiving artist did not know who designed the project, nor did they receive any images! In today’s post, Nadine gives the directions and recommended supplies list and Roni created the project. We had a little fun here recently at Imagine by challenging ourselves to an art swap. Each of us created a project, wrote up instructions and then Imagine swapped out all of the projects with a fellow Artist in Residence. I had the pleasure of working with Nadine Carlier’s project, as you can see it turned out amazing. It’s funny when we compared finished projects we even chose to use the exact same “hello” stamp! Cut a strip of white cardstock so it fits the width of a card and about 3 inches wide. 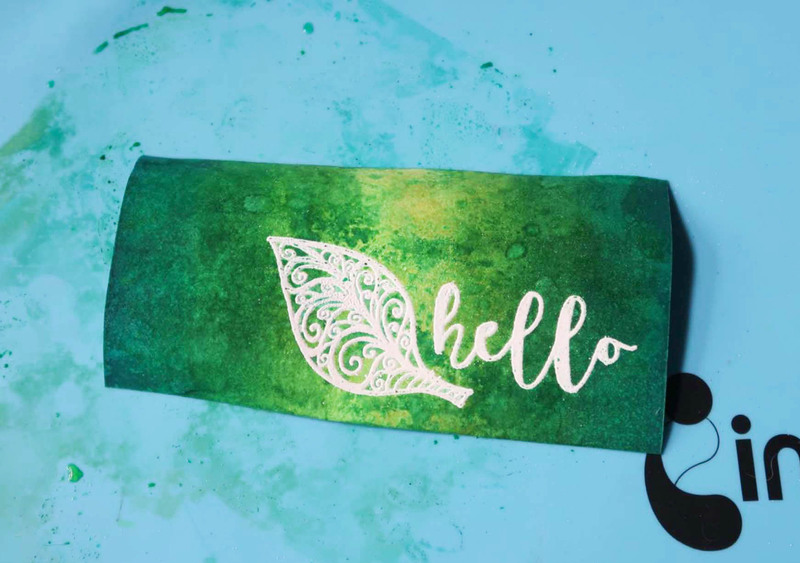 On the strip, stamp a leaf image and a hello sentiment using VersaMark and then emboss and heat set it with white embossing powder. 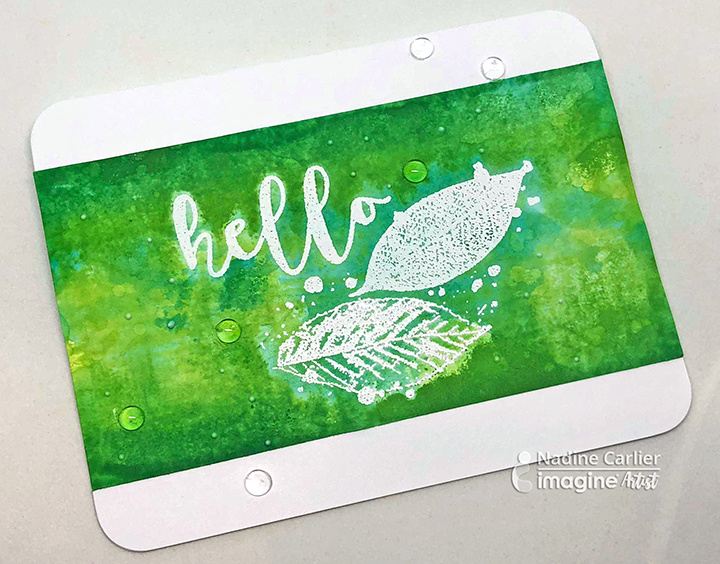 Kaleidacolor Fresh Greens and a brayer work best for this step. 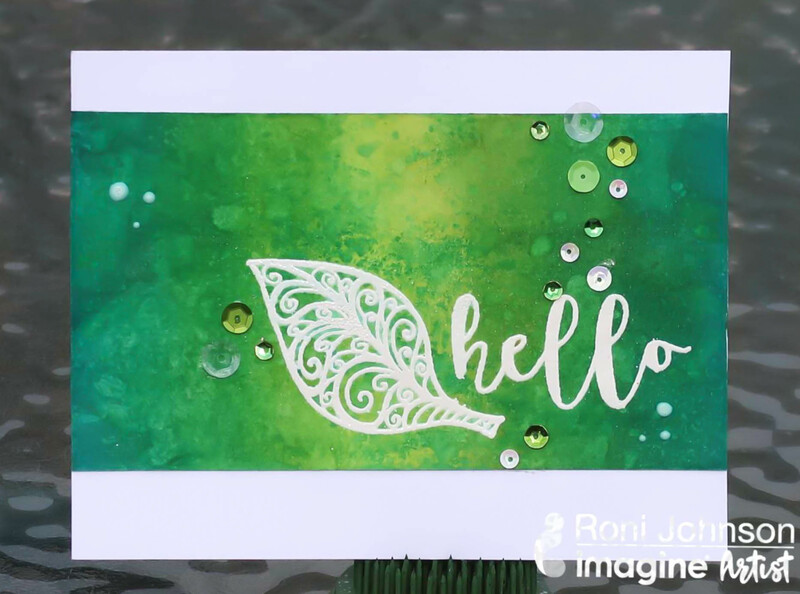 Use sponge daubers and individual green ink colors in varying tones as long as they are a water-based ink, for example, Memento inks. 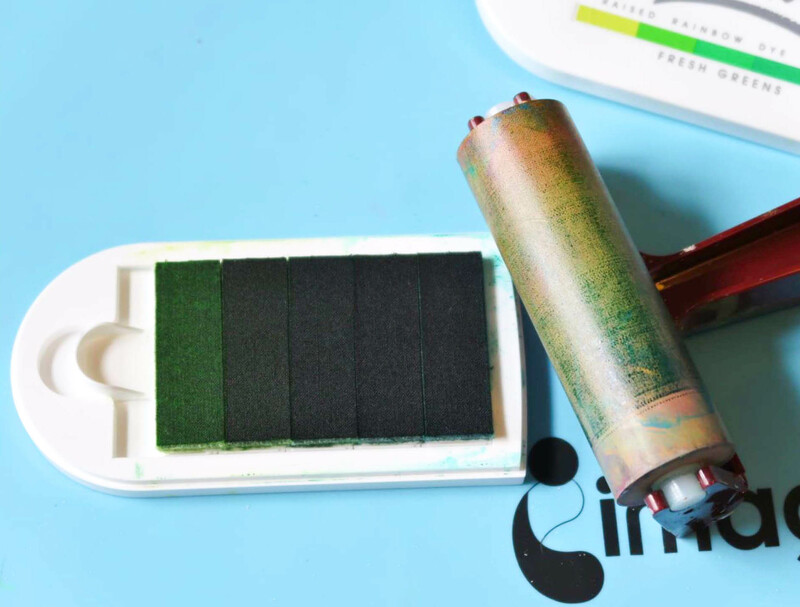 Slide the Kaleidacolor inks together and roll a brayer over the ink pad. 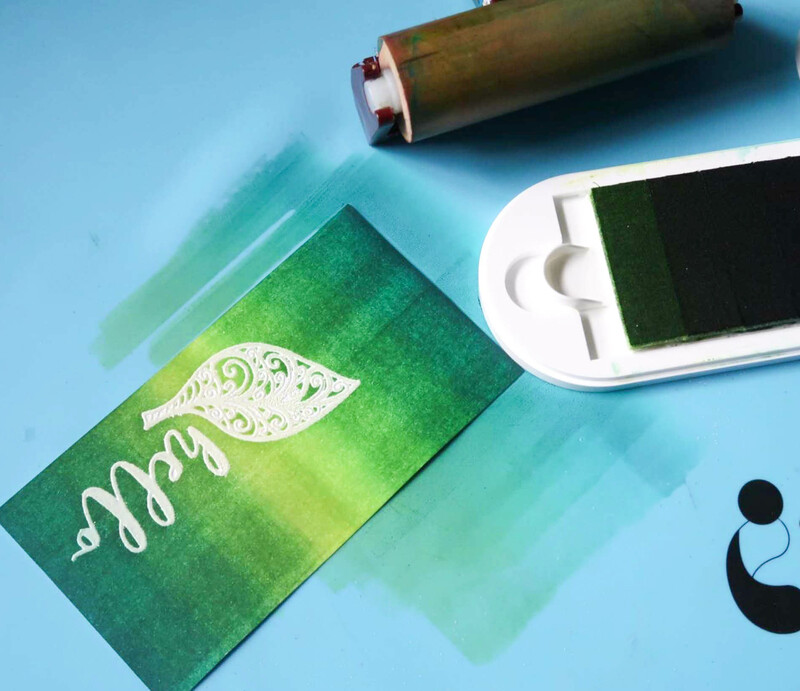 Make sure to keep rolling in the same spot to not mix the colors up on the brayer. Using the cardstock strip roll the brayer lengthwise so the lightest ink color is in the center of the cardstock strip. At this point, only half of the cardstock strip should have color on it. Don’t worry about getting full coverage on the strip, this is normal especially around the embossed areas. You actually want some white areas showing. Flip the cardstock 90 degrees and repeat the steps from 4 and 5. Once cardstock piece is completely rolled, you should have an ombre effect with the lightest ink color in the middle and with it getting darker towards the top and bottom of the strip. Because my brayer width was wider than my cardstock strip I had the darker ink colors rolled on my craft mat. 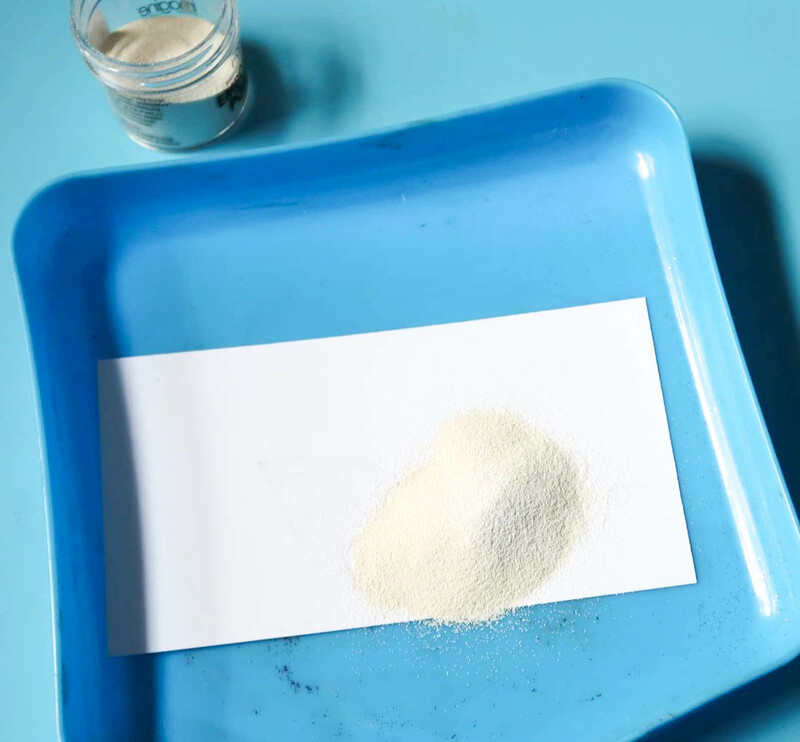 Spray the ink left on the craft mat with water and use the mix as an ink or lift technique. This will create a texture effect. Repeat until you have the look you desire. 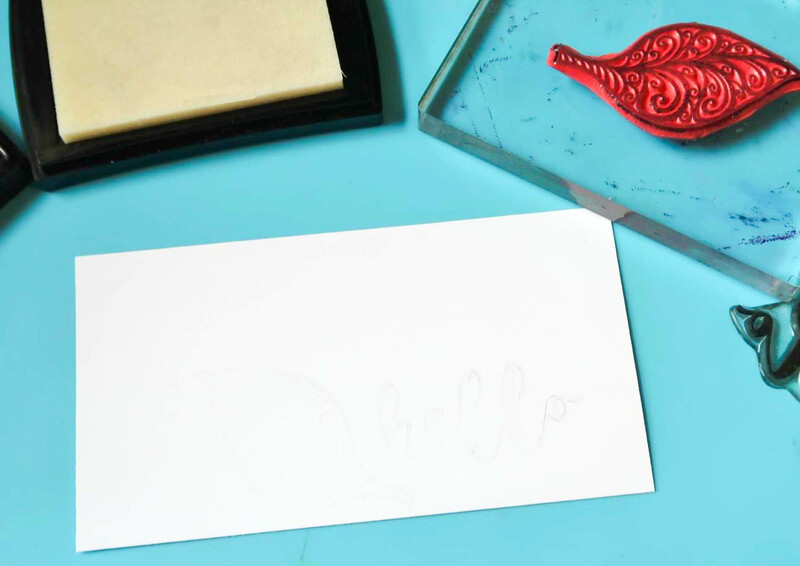 Using a dry paper towel rub over the embossed areas to remove extra ink. Let your cardstock strip dry. Finish the design by adhering the cardstock strip to the front of a card base with Tear It! Tape. Add sequins, dew drops or tiny dots of irRESISTible Pico Embellisher in Clear or Wedding Dress. Enjoy! What do you think of Roni’s interpretation of Nadine’s tutorial? 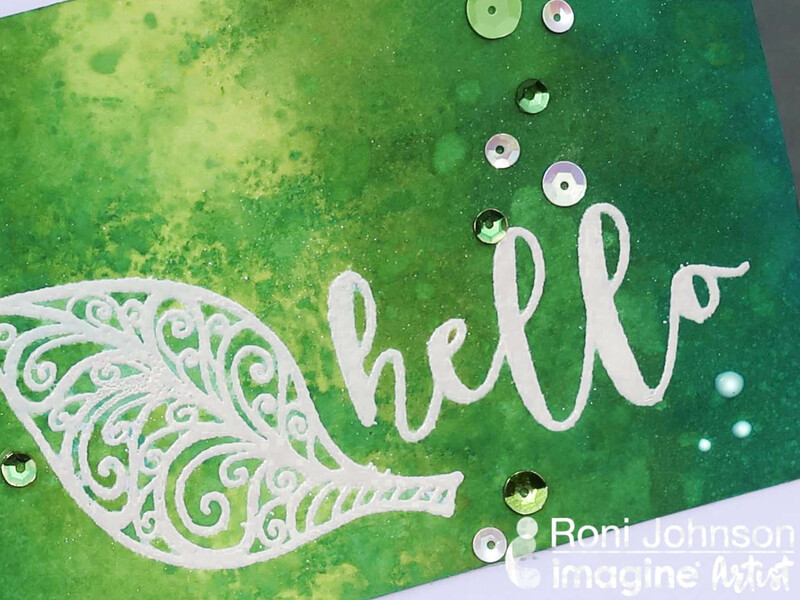 This entry was posted in 2018 ARTIST IN RESIDENCE, Beginner, Cards, DIFFICULTY LEVEL, DIY, INSPIRATION, Nadine Carlier, PROJECTS, Roni Johnson, Techniques and tagged cardmaking, Cards, Craft Mat, DIY, DIY Inspiration, Embossing, Embossing Powder, Handmade, INSPIRATION, Kaleidacolor, Mixed Media, Paper Crafting, VersaMark. Bookmark the permalink. 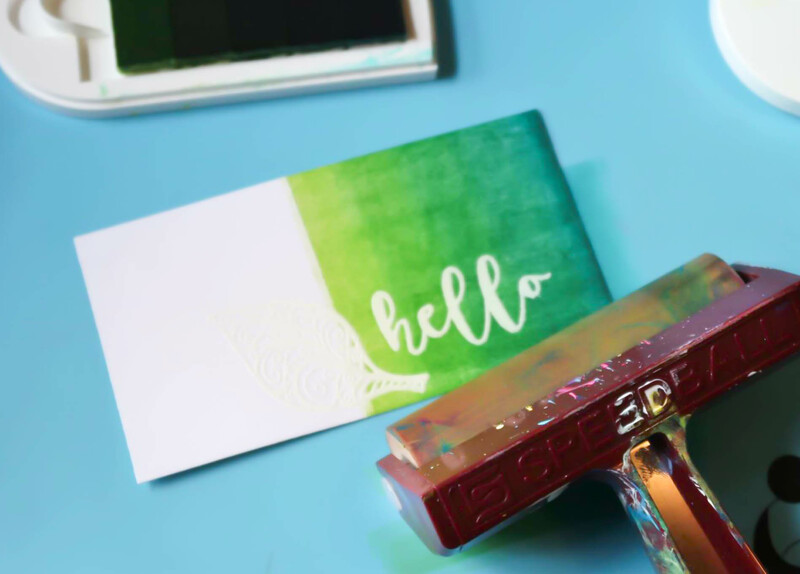 I have to say that this was so much fun, I really enjoyed recreating Nadine’s design and it was so funny that we both ended up using the exact same “hello” stamp totally by chance. Love this idea!